We're your local Source For Sports, part of a national sporting goods buying group and affiliated with over 150 other Source for Sports stores across Canada. We aren't a franchise; we're an independent business owned and operated by a member of your local community. As a member of the largest buying group in Canada and one of the country's biggest retailers of sports equipment, we have access to products from around the world along with immense buying power. 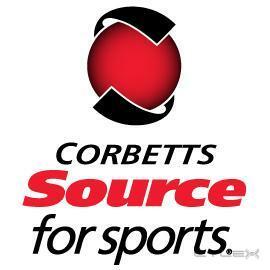 We are your local Source For Sports, part of a national sporting goods buying group and affiliated with over 150 other Source for Sports stores across Canada. We aren't a franchise; we're an independent business owned and operated by a member of your local community. As a member of the largest buying group in Canada and one of the country's biggest retailers of sports equipment, we have access to products from around the world along with immense buying power that we could never achieve on our own. This relationship allows us to offer you the finest selection, quality, and value in sporting goods. Our store is very different from every other Source For Sports store across Canada as each one focuses on its own area of expertise. However, you're guaranteed to find one thing at all Source For Sports stores nationwide; we offer a specialty store experience and personal service from people who play the game, combined with big box store prices. From beginner to pro we'll put you in the right gear for your game at the right price. Be the first to write a review for Maclean's Exeter Source For Sports!